The news publishing industry continues to look for ways to drive more digital growth, in a cost-effective manner. Many publishers have identified the ability to express rights and restrictions in a machine readable way as being a key priority. 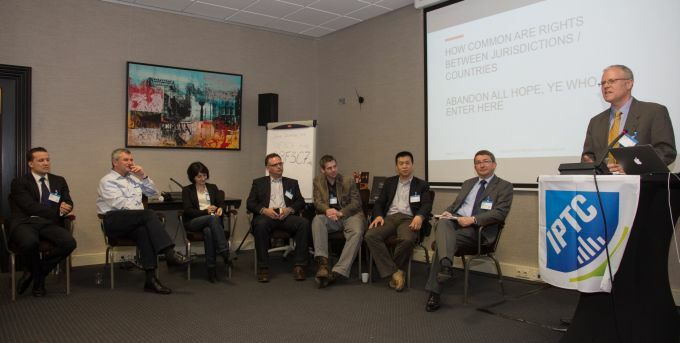 In order to further this work, the IPTC organized a full day meeting on 12 March 2013 in Amsterdam (Netherlands). A summary of the day can be found in the article Technology, collaboration and education are key to protect the rights of content owners. At one time, news and photo agencies distributed content to editors at newspapers and broadcasters, who would manually select which items they would use in their products. In the process of this selection, they would be able to read any editors’ notes, which could include any restrictions that needed to be observed. However, increasingly, news outlets are fully automated, with very little – if any – editorial oversight of what is published. Amongst other things, this drives the need for the expression of rights and restrictions in a way that can be evaluated automatically. This automation would allow the editorial process to be more efficient. In general, an editor still needs to exercise their judgment as to whether a particular restriction applies in a particular context. But, automatic evaluation of rights and restrictions can identify the items that need those decisions, rather than having editors inspect every single item. (This exercise of editorial judgment means that these systems are not like DRM, in which particular actions are forbidden and typically enforced by the devices involved). Over the last couple of years, the members of the IPTC have been paying increasing attention to the question of machine readable rights for news content. The goal has been to leverage the work done by others, rather than to invent something completely new. At this event in March 2013 the IPTC wanted to get the major players interested in machine readable rights together, to explore the possibilities of working with the members of the IPTC to take advantage of the opportunities and overcome the challenges. The copyright owners of the presentations are the individual speakers, this encompasses the documents for downloading and the spoken word of the video recordings.